November 22, 2018, 4:26 p.m.
New research from YouGov indicates that a quarter (26%) of Brits are planning to shop during the Black Friday sales period this year. 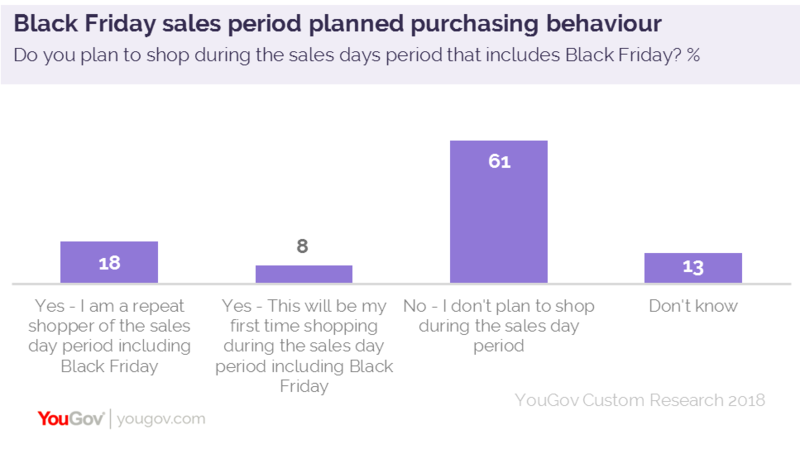 YouGov has conducted research among more than 4,000 Britons, exploring their attitudes towards the Black Friday sales period. For 18%, they will be repeat Black Friday shoppers, while 8% plan to take advantage of the deals for the first time. Six in ten (61%) say they will avoid them completely. That means that a third of new sales period shoppers will be doing so for the first time. A quarter (24%) say they will limit themselves to only buying key item(s) that they’ve already decided upon, while 33% do not have anything specific in mind and will be browsing. Four in ten (40%) will buy key item(s) already decided upon, but will also browse for other items. One major reason that consumers are not choosing to shop this week is the belief that there’s a lack of differentiation between Black Friday deals and other sales. Thee in ten (30%) non-shoppers believe the discounts are not as good as at other times of the year, while over a quarter (27%) say the reason for not partaking is that there are other similar events throughout the year, so there’s no hurry. Added to this, over half (52%) say they simply do not need to buy anything. Over a third (36%) say stores are often overcrowded, while 13% lament that online retailers often don’t have the necessary stock. In contrast to the dramatic scenes we used to see outside supermarkets and retailers around the country, online is where activity will be focussed. Almost two-thirds (63%) will shop during this period via desktop/laptop, while (41%) will shop online via mobile sites. We can expect consumers to shopping around for the best deal. 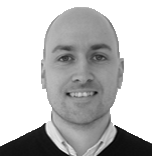 Over eight in ten (83%) claim they will visit different retailer&apos;s websites and compare prices before making the purchase decision, thus exhibiting very little brand loyalty.